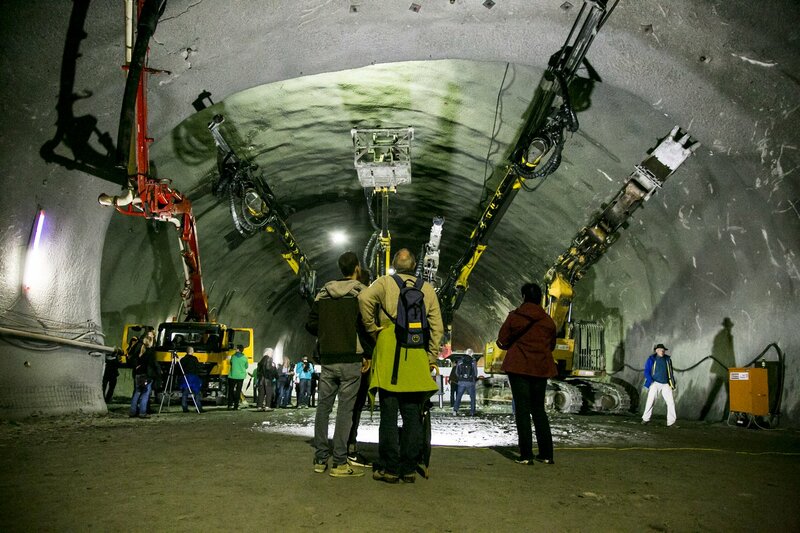 visitors.The tunnelling machines were stopped for once. The visitors came not only from Tyrol but from neighbouring countries to see the largest infrastructure project in Europe for real. It’s that time of year again! For the eighth time in a row, everybody is heading for the Tunnel. 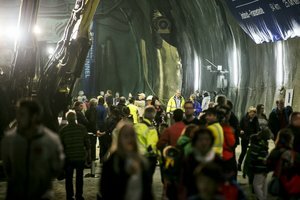 This year, the construction site in Ahrental, south of Innsbruck, was open to The Open Tunnel Day event began with a religious service, presided over by the Reverend Helmut Gatterer. The wind ensemble of the Patsch band provided the music. After the service, visitors explored the area where the excavating machines were parked, seeing diggers, drilling jumbos, spraying machines and dumper trucks. 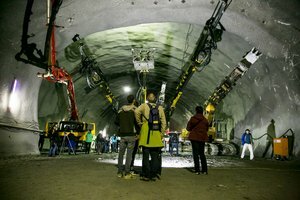 BBT SE personnel, stationed at information kiosks, explained issues of tunnel construction, geology and showed the progress of this “project of the century”. 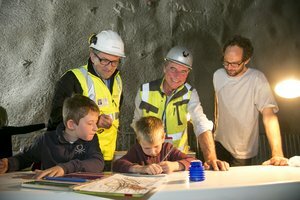 Younger visitors were not forgotten either; the Tyrolean artist Ben Zanon painted a lot of pictures of digging machines with children and the pictures were shown on October 26th in the Säulenhalle at th Landhaus in Innsbruck. Both children and adults were delighted with the construction site and the entertainment programme. BBT SE CEOs Konrad Bergmeister and Raffaele Zurlo were pleased at the considerable interest shown by the population. 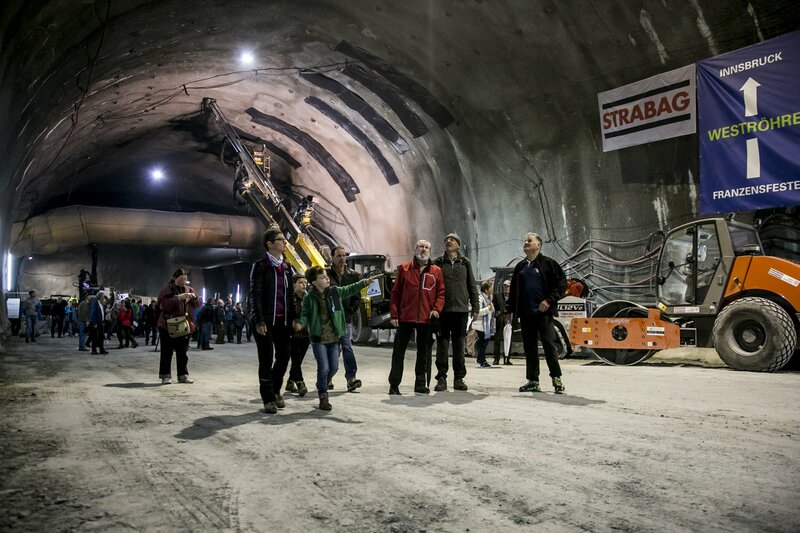 “Once completed, this tunnel will bring together people from many different countries, and Europe itself. 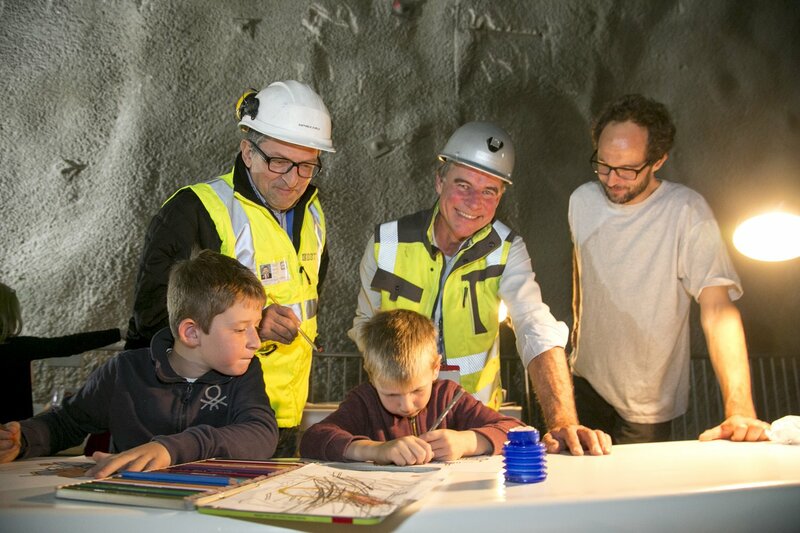 There are people from 11 different countries working side by side on this construction site”, said Konrad Bergmeister, emphasizing the uniqueness of the project. Raffaele Zurlo thanked the neighbouring residents for their acceptance of the construction activities. 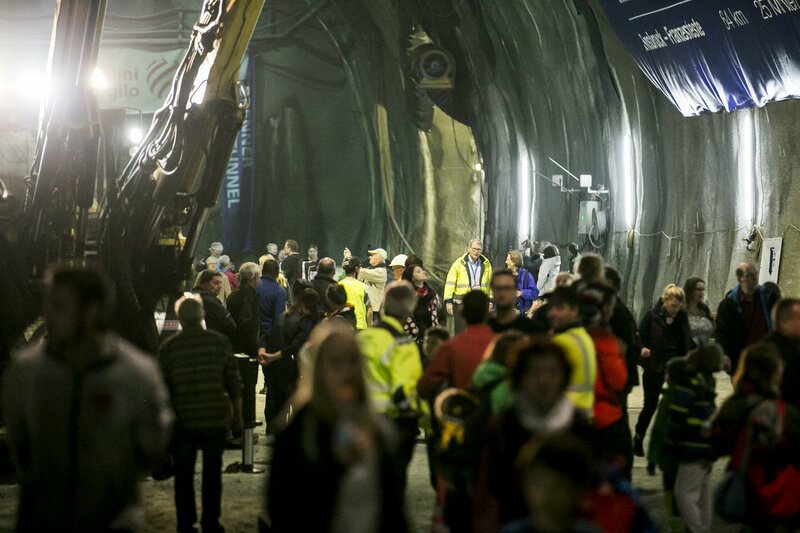 Live link-ups from the tunnel with Life Radio and entertainment with the best music mixes for Tyrol rounded off the event.